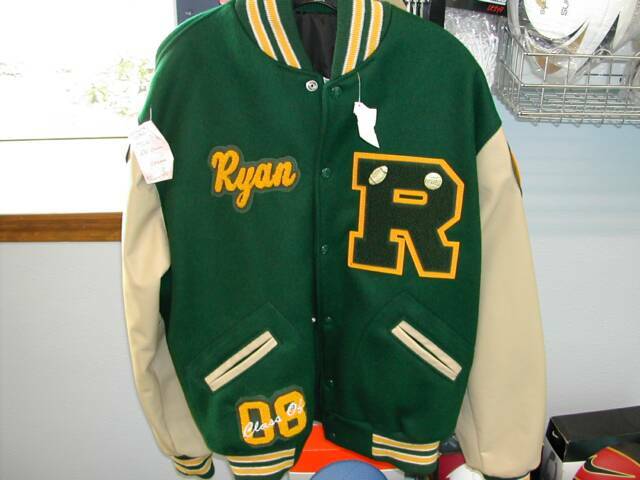 We carry and custom order letterman jackets from Settlemier's out of Portland, OR. Pathces are made in house and cut out by hand to fill orders. Please allow 4-6 weeks for us to deliver your one-of-a-kind jacket! Lost a patch? No, problem. We create patches in house. See above for pricing. Want to order in bulk? Call today for a free bid on Letters, mascots, and more. Can you Ship? Yes. Shipping address will be required at time of order. Payment for shipping will be required only when jacket/patches are complete.